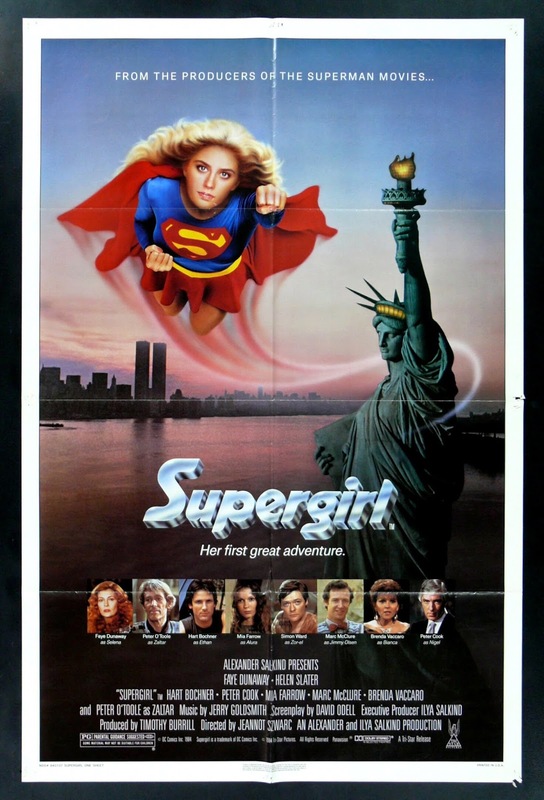 On this episode, the gang heads back to the comic world to chat about the disasterous, embarrassing, lazy, multi-cut, train wreck, Supergirl! Why does Faye Dunaway need to be a witch in this movie? What's with the instant love spell excluding dudes? And is Zaltar the biggest pervert in the galaxy? PLUS: How about a squirt? 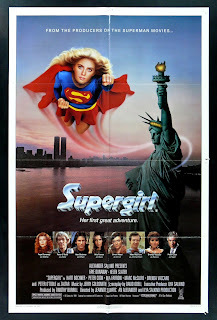 Supergirl stars Helen Slater, Faye Dunaway, Peter O'Toole, Hart Bochner, Maureen Teefy, Mia Farrow, Marc McClure, Brenda Vaccaro, and Peter Cook; directed by Jeannot Szwarc. I'm listening to 'The Philadelphia Experiment II' right now, so I'm going to guess 'Weekend at Bernie's II' for next week's show. Please be Forest Warrior starring Chuck Norris . . . I just had to share that since the Thinner episode our whole family (including the five year old) is using the Richard Bachman defence for everything. "Richard Bachman said it".